member countries’ finances to protect the monetary union from further crisis. must take steps to protect itself from a new crisis. “The fallout from the crisis is becoming ever more visible, labour markets in some countries are languishing and government debt almost everywhere is far in excess of permissible deficit limits,” Schaeuble wrote. Greece is battling a debt crisis and EU policymakers have been debating ways of providing financial support for it and other troubled euro zone members. faced default. Questions over who would finance such a fund remain unanswered. Thursday that the ECB would not provide emergency funding for countries in a budget crisis. 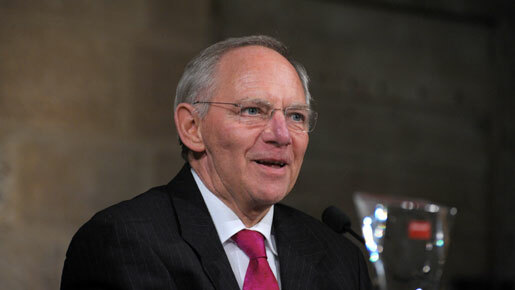 Schaeuble said any aid offered would be subject to strict conditions, but could improve the EU’s ability to sort out its backyard problems without the help of the IMF. Schaeuble echoed the calls of Eurogroup Chairman Jean-Claude Juncker for euro zone finance ministers to step up their surveillance of countries’ finances. “Economic and fiscal policy surveillance in the Eurozone was insufficient to prevent undesirable trends in a timely manner,” he said. increased powers to inspect public finances.